While summer staples like whites, floral and pastels hardly ever go out of style because of their sheer utility for the hot months, here’s a look at some off-the-wall and yet very wearable trends that you could try this year and add panache to your summer. So far in 2014, the runway has seen many offbeat styles ranging from sheer panels to sporty chic to slogan wear, however here are 5 hot trends from the runway that could easily be incorporated into our wardrobes. Culottes: A summer wardrobe should be relaxed, easy and chic. 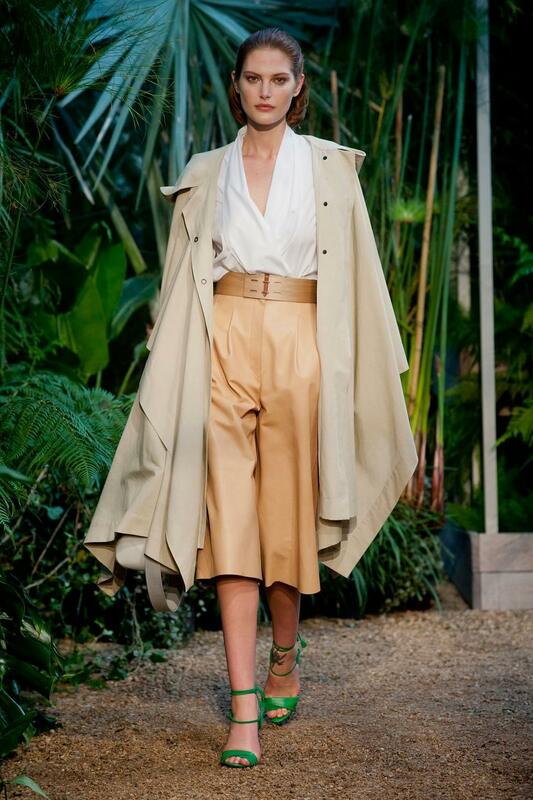 Culottes embody all of those attributes and are a big trend this year. They can look deliciously androgynous and at the same time can be very flattering. You have to find the right length, and usually mid-calf is most flattering. Fringe: Fringe has forever been associated with bohemian clothing but that is changing as the runway saw sleek and elegant use of fringe. This trend is doable easily as you can wear it not just on clothes but bags, shoes, scarves. The 2014 fringe comes in all different materials and tends to steer towards softness. 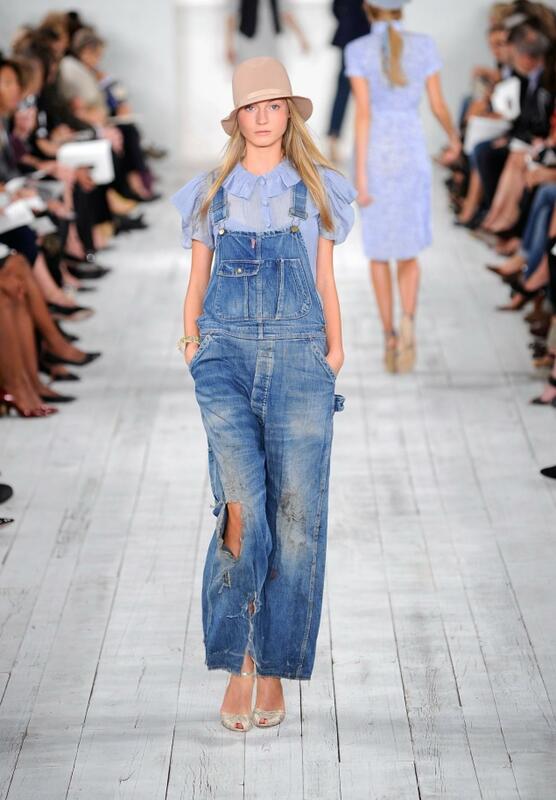 Overalls: Overalls are versatile, trendy and young. Well, I guess farmers really knew their fashion! Wear them dressed down with a crop top underneath, or dressed up with a blazer and heels. 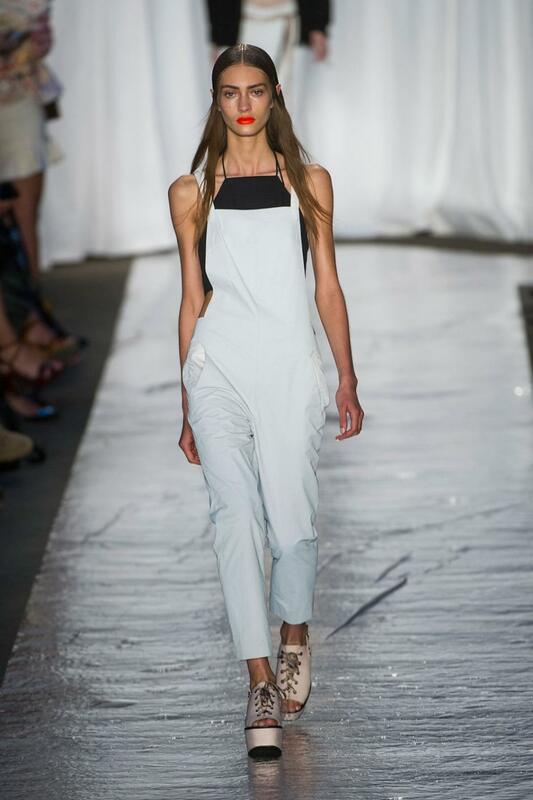 I am currently craving for lightweight overalls in white or a pastel shade! High waisted skirts: So, the crop top trend is not going anywhere and will still be a huge trend this year too, and what is a great way to make crop tops wearable? High waists, of course! A high waisted pencil skirt adds elegance and femininity to an otherwise grungy crop top. You could also wear these skirts with a classic button down shirt. High heels paired with these high waisted pencil skirts will make your legs look never-ending. Tea length skirts: Ah, the elegant and feminine full-skirted tea length skirt. I am loving this trend. Makes me think of Grace Kelly. Also known as midi skirts, tea length skirts are all the rage right now in bright shades, floral and graphic prints. 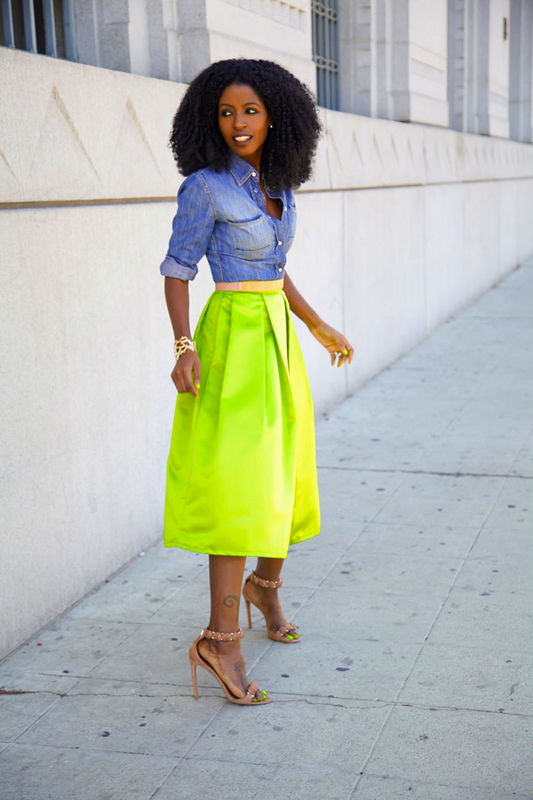 These skirts are similar to maxi skirts but are shorter and wider. Wear them with crop tops, tank tops, shirts, peasant tops and delicate jewelry and strappy high heels for a look that spells femininity and romance. Cannot wait to sport these trends!